I began my Bibelot Series by recalling to mind the lost treasures of George Headley. With this 13th miniature, I am wondering if the meditation may have reached its culmination. The primary reason centers on the changes that occurred with my process while creating this most recent composition. Because I find myself thinking less about the precious fabrications that provided the initial inspiration and more about the aesthetic qualities of the artifact manifesting before me, the connection to the Headley works have diminished enough for me to consider whether or not the transition to a new investigation is taking place. 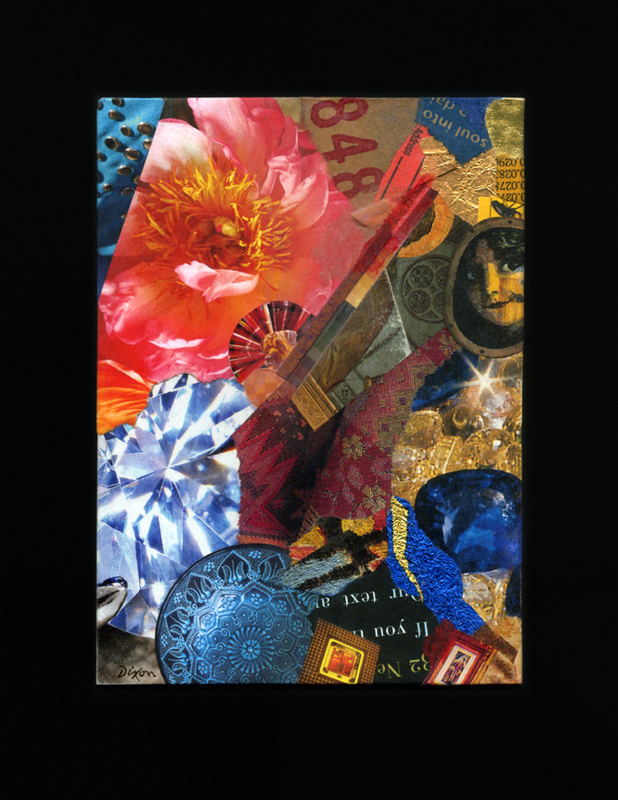 The color and abstract relationships inherent in an evolving collage surface seem to exist for their own sake, rather than as an homage to other artistic ideas, and point to a deeper reality. What comes next? As a student of American History, the number 13 has never felt unlucky to me. We shall see what follows. You are currently browsing the archives for the Color Field category.